Cynthia is a homesteader who grows, harvests, and stores many foods, and prefers natural, homemade remedies for her family. It is not uncommon for your dog to have an upset stomach, often causing dry heaving, vomiting, or even diarrhea. How will you treat it? Seeing our pets in any amount of discomfort is very concerning. 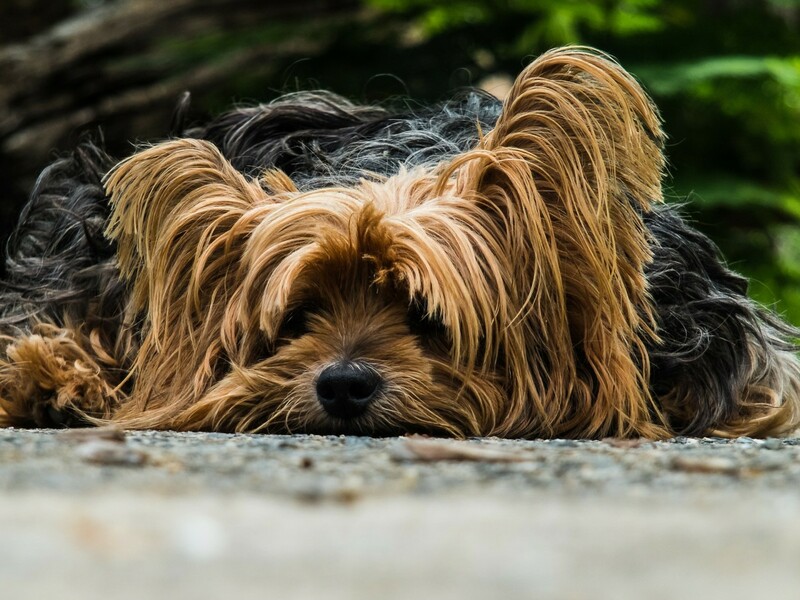 It can become a real issue to deal with a dog's upset stomach if you do not have access to a 24 hour vet, or if the local veterinary office has limited hours. Living in a very secluded rural area myself the nearest vet is around 65 miles away. Making it a very long drive when driving with a dog with an upset stomach. Having dealt with many sick dogs over the years, and the lack of local vet care. I have learned a few natural ways to remedy a dog with an upset stomach. Though an herbal remedy is handy to have, you should always consult your veterinarian before you take a natural approach. If you are unfamiliar with holistic medicine, or natural remedies you should do some research before beginning. You may even have a holistic store in your area, most of them are more than happy to help and share knowledge. As with pharmaceuticals, some herbs can be very potent, and it is important to have a basic knowledge of any herb before administering it to yourself, or your pet. 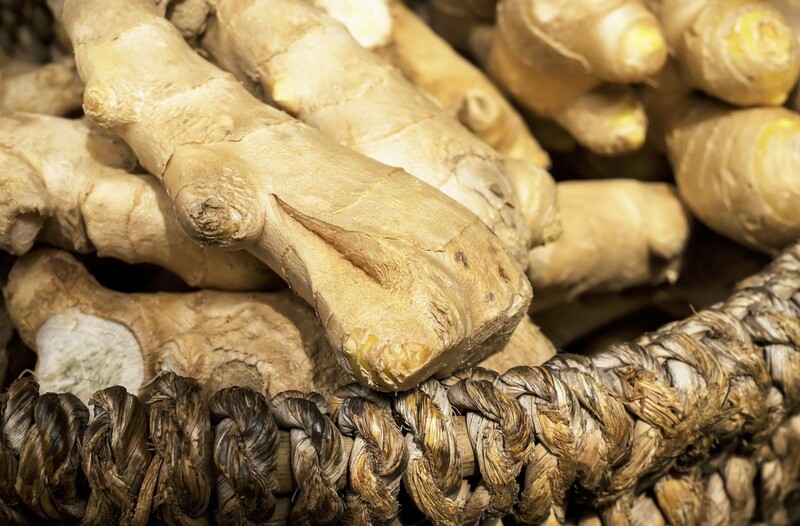 Ginger is not just a culinary spice, it also has amazing medicinal properties. Ginger is commonly known as a way to treat morning sickness in pregnant women. It is also a useful treatment for a dog with an upset stomach. Ginger is a prized root for it's wonderful flavor when used as a culinary spiced. Using ginger for an upset stomach is not a new occurrence. Ginger is an ancient remedy, used for centuries in medicinal remedies. Ginger is perhaps one of the most common household spices, in a pinch you can make a tea out of the spice. Though using a fresh root to steep a tea for your dog will be more potent than the dried alternative. 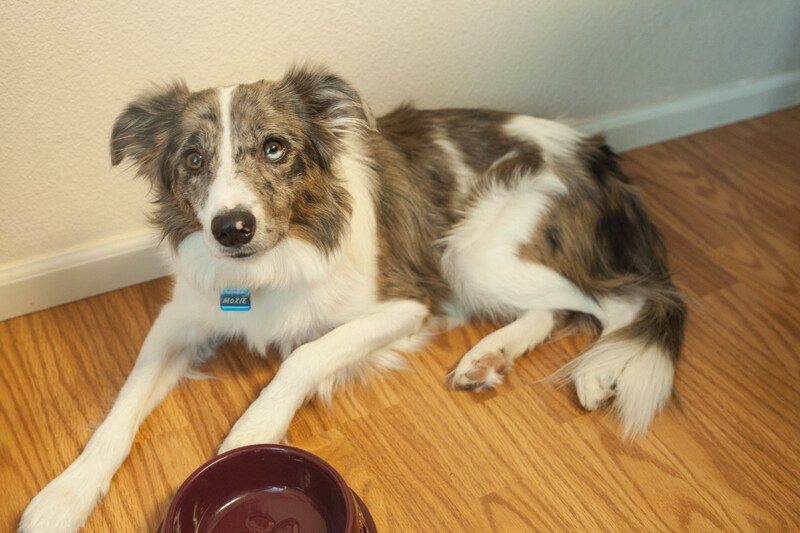 Basil is a fairly common household spice that can help your dog and remedy their upset stomach. 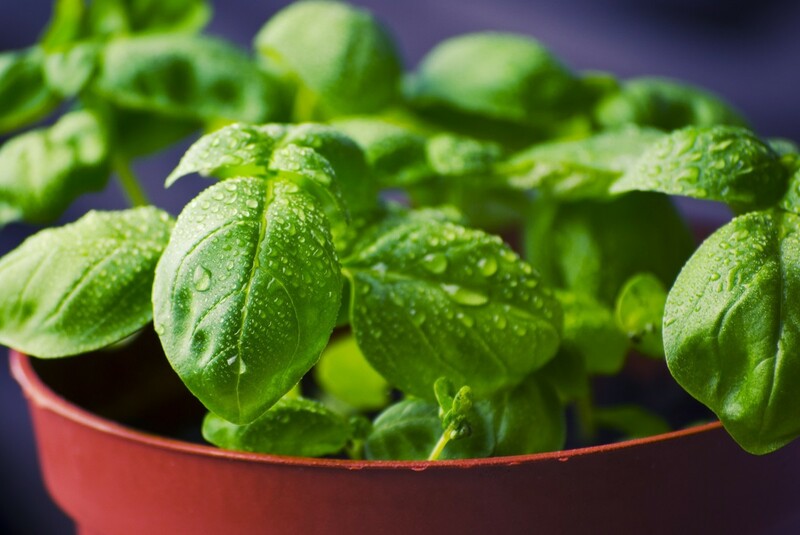 Basil is also extremely effective against bacteria thanks to the high content of volatile oils it contains. If you can mix a few fresh leaves in with some moist dog food your dog will be feeling better in no time. If you find your dog interested in his new chow, you can add some to yogurt as well. The yogurt will also aid in helping an upset stomach. The medicinal properties and benefits don't stop their either! 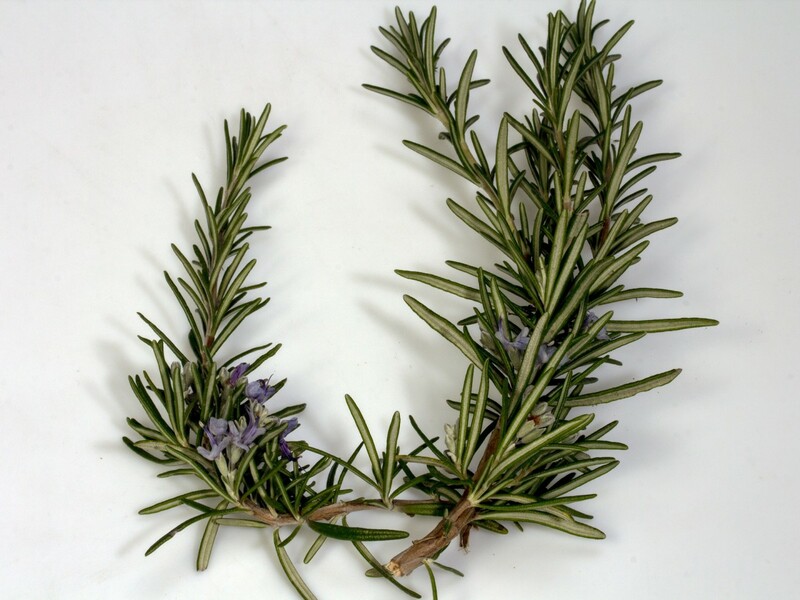 Rosemary is also an immune system booster and breath freshener. Using rosemary to treat a dog's upset stomach will also freshen their breath, and boost their immune system. Rosemary is widely available in most stores, or you can grow your own at home with ease. Rosemary is a powerful herb for humans and our dogs. I use rosemary very frequently in my cooking, and for my dog. It boost the immune system so I make a point to give my elderly dog rosemary a few times a week. It also keeps her breath fresh as well, a big win as I am not a fan of dog breath! Aloe Vera is also very useful for cuts, scrapes and burns. Aloe Vera is a spiky little plant I grew up with and continue to grow today. My mother would always apply aloe to our sunburns, or any burns we may have gotten in the kitchen. It also would speed the healing process of our scraped knees too. 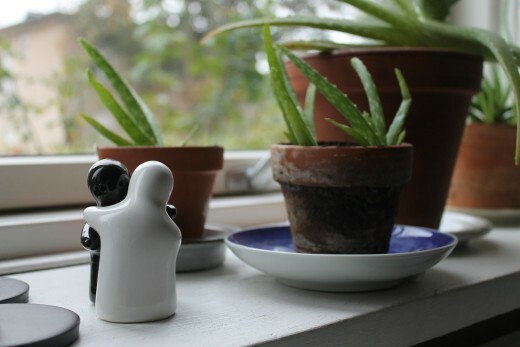 Aloe is another ancient remedy, often used centuries ago to heal ulcers in humans. It is a remedy for a dog as well. Aloe Vera will treat gas, bloating and constipation in your K9 companion. You can also use it topically on any skin issues or abrasions your dog may have. 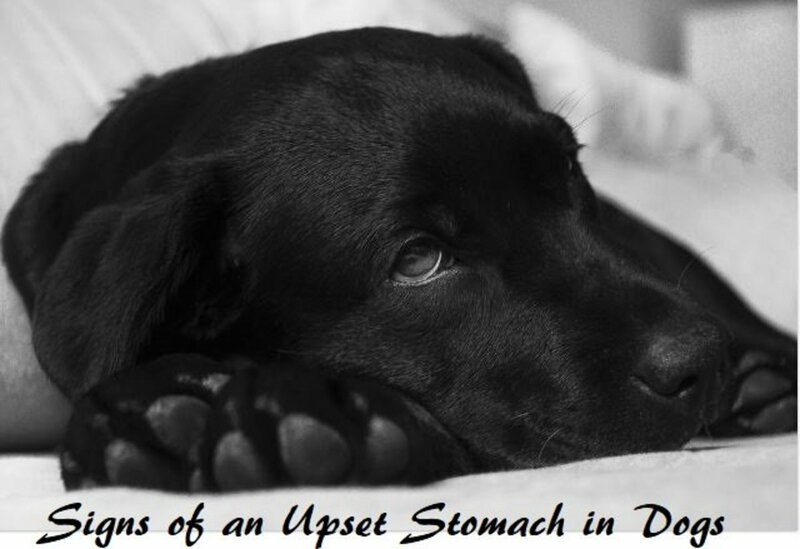 Have you ever treated a dog's upset stomach with herbs? Calendula flowers are easy to grow and add a beautiful pop of color where ever they are planted. Calendula flowers are easy to grow. Not only are they a beautiful yellow flower, they also contain magnificent healing power as well. 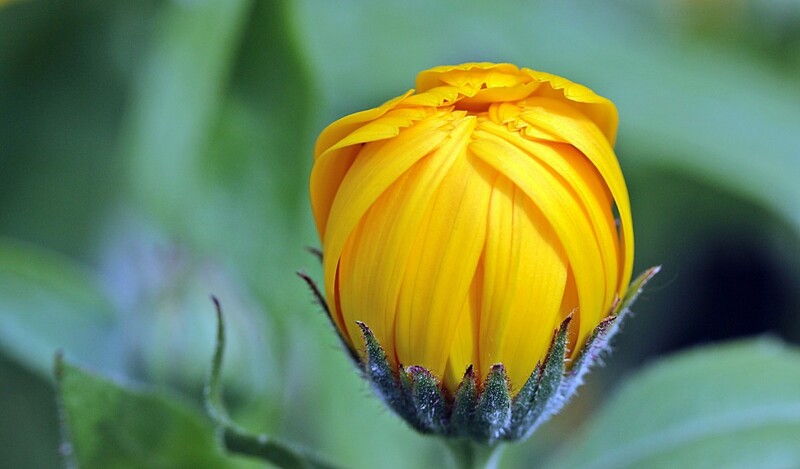 Calendula posses a antiseptic quality that will prevent bacterial growth. 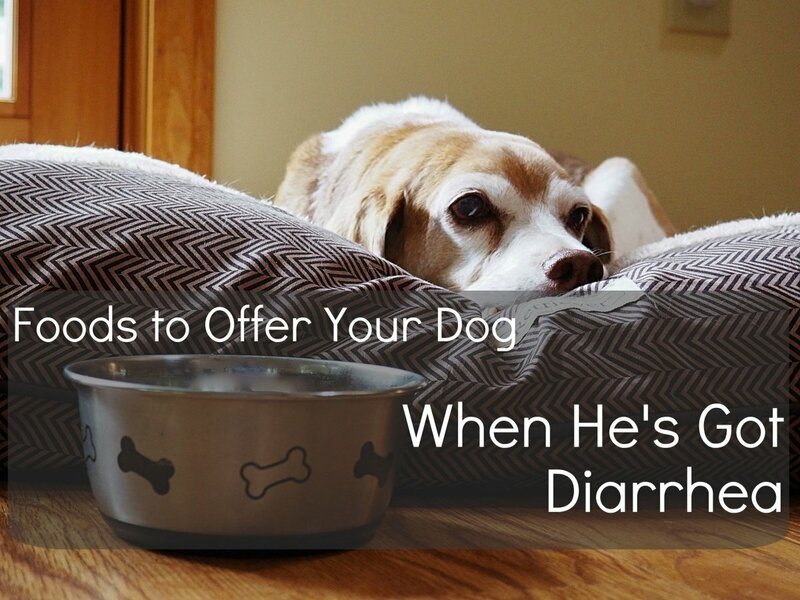 You can use it to calm a dog's upset stomach and to keep any bacteria at bay. Calendula also posses anti-fugal properties as well, making it a great choice to remedy a dog's upset stomach with ease. Goldenseal is another powerful plant used to treat humans and our K9 companions as well. It is very useful in treating bowel ailments our dogs may be suffering from. Steeping a tea and giving it to your dog will take care of an upset stomach in no time. The tea can also be used to help with eye infections or weepy eyes if used as a wash. Goldenseal can often be found growing wild in many areas. Goldenseal posses very powerful antibiotic properties that will not allow bacteria to attach to cell walls. 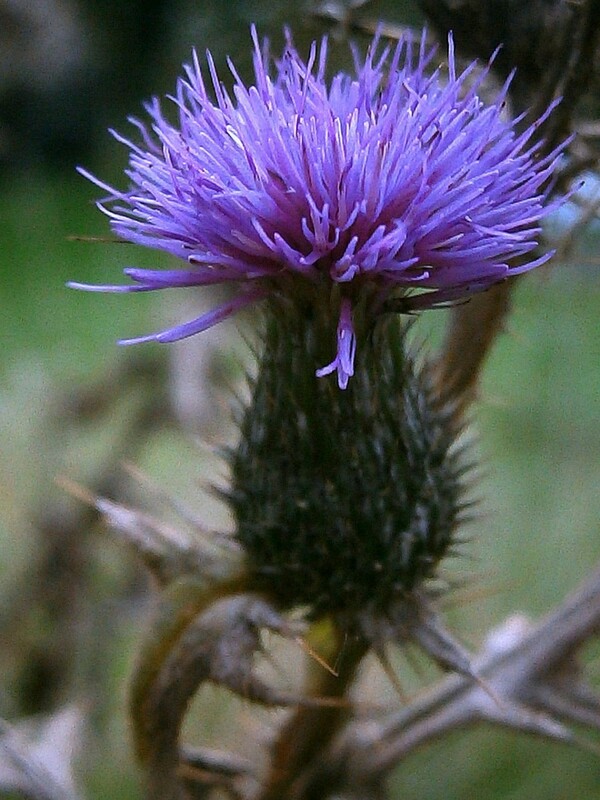 Milk thistle is a native plant to Southern Europe, it is closely related to the daisy family. You can find milk thistle growing all over the world, making it a great choice for treating a dog's upset stomach. Milk thistle will not only aid in calming a dog's upset stomach, it also improves liver function, and prevents liver damage. Milk thistle is a great herb to give not only a dog with an upset stomach, but those who have been on any medications that can cause liver damage as well. 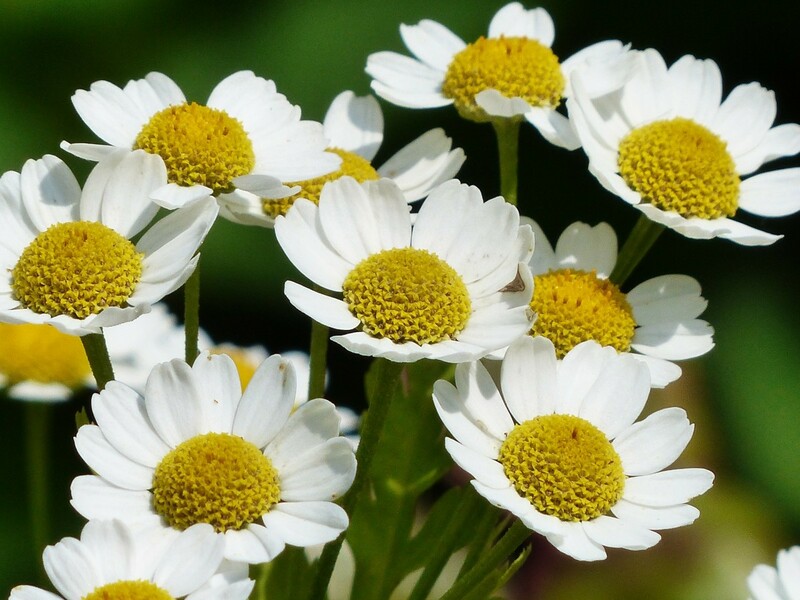 Chamomile can be grown and is fairly hardy under the right conditions. California Poppies can be grown is some zones. If you are interested in growing your own, you should check your zones to ensure growth. Combining the three in a tea for your dog will not only help with an upset stomach. These three herbs will successfully and natural treat an overly hyper dog, and calm them down. They are also beneficial in lowering blood pressures and for helping your dog with breathing issues. These three herbs are also very useful in riding your dog of any parasitic infection they may have. Valerian root is an extremely powerful sedative, so it is important to seek out a holistic vet before you begin treating your pet. This ensures that you are giving the proper dosage for your dog. Chamomile will also aid in sleep, and relaxation as well as having anti-inflammatory and antibiotic properties. I drink a cup of chamomile tea every day. 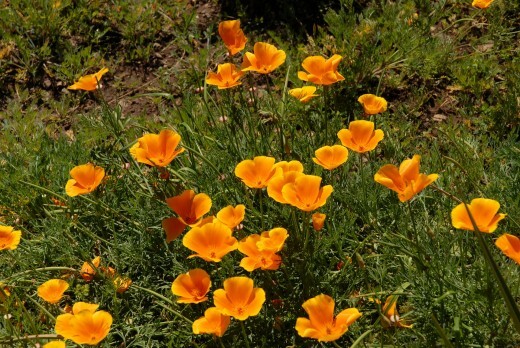 The California Poppy is useful at treating anxiety and insomnia. The combination of these three will allow your pet to rest and calm themselves while they get over their upset stomach. The herb trifecta should not be administered by those who are unfamiliar with medicinals, and I suggest speaking with a holistic vet prior to considering this option. 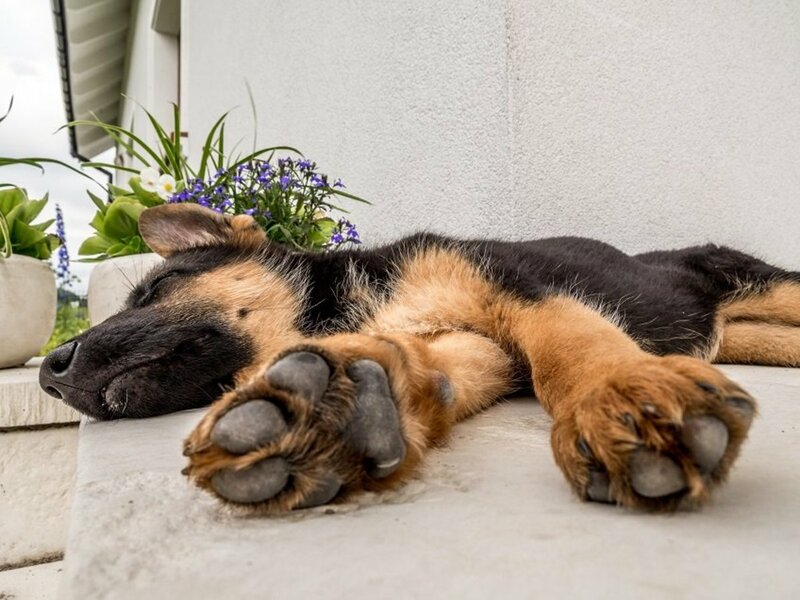 The herb trifecta has a very sedative effect and will allow your dog to get rest. Though I can not stress the importance of seeking out guidance for this remedy enough. It is important with any herbs to look for organic, the use of pesticides on products that you may give to your pet or family is not recommended. 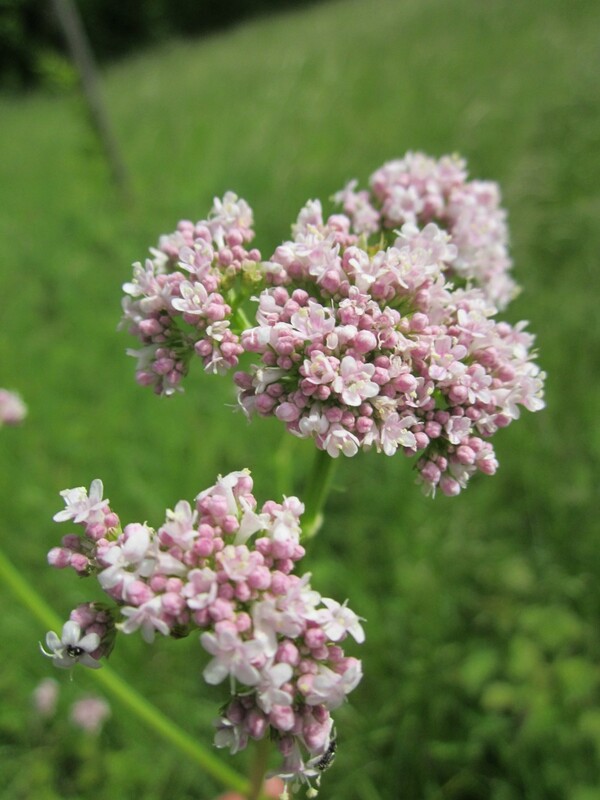 Treating a dog's upset stomach is very easy with the herbs I have listed. You can combine herbs with moistened dog food fairly easily. Or make a tea if you can manage to get your dog interested in it. Many people will say a tincture is a good way to administer these remedies to dogs. Many tinctures use grain alcohol though, I do not suggest giving a dog with an already upset stomach any tinctures that are alcohol based. If you find you are struggling to get your dog to ingest the much needed remedy. You can add herbs to yogurt. Yogurt contains probiotics that are excellent for the digestive system. I often use a Greek Yogurt for my dog, as it has an abundance of protein as well. Please remember to check with your veterinarian before you start a home remedy. Sometimes an upset stomach can be a sign of a more serious issue. My German Shepard puppy is suffering from swelling in his stomach. He cannot pass urine and stool easily. Is there anything you can suggest that I can do to help him? The inability to pass stool with ease, should mean an immediate trip to see your veterinarian. Constipation in dogs can be serious and have underlying health concerns as well. You may find luck with digestive enzymes and probiotics. You can try giving your dog some yogurt, most will eat it without issue. Consider dehydration if you haven't already. Constipation is often linked to dehydration in both humans and our K9 counterparts. Be sure that your dog has free range access to fresh clean drinking water at all times. Another alternative to try; canned pumpkin puree for the fiber content. Look to adding a few tablespoons a day to your dogs diet. 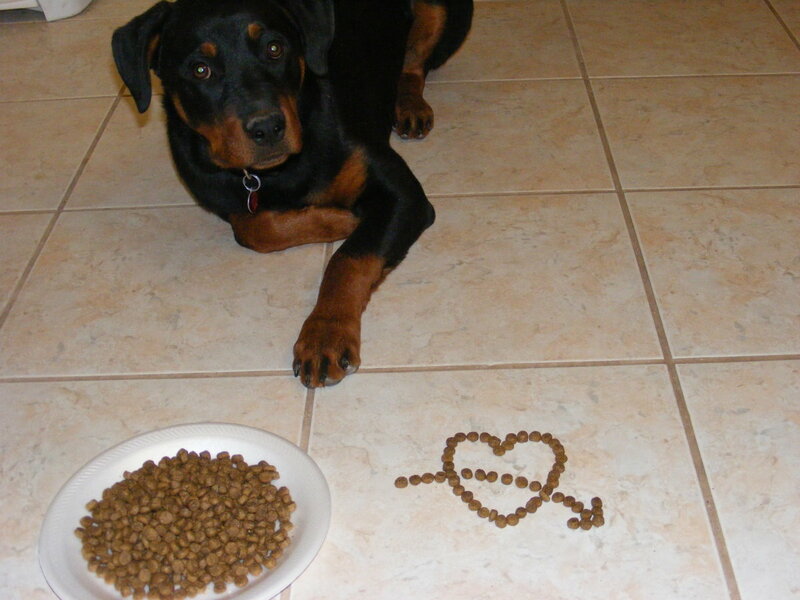 The food you are feeding your dog can also be an issue. Some dogs need specific nutrition for their specific breed to ensure they are at peak health. Keep in mind if you recently switched to a new food this can also cause issues with your dog. Any food changes need to be gradual to avoid problems. No Garlic not safe for dogs as much it is for us. Garlic can be very toxic for them. Cath I am so glad you asked that question. Garlic is in fact safe for dogs, when used in the appropriate dosages. There are a few specific breeds that you should not give garlic to and they are the Akitas and Shiba Inus. As I have mentioned you should always consult your holistic veterinarian when you are unfamiliar with herbal treatments for dogs, or any other animals you may have. It is important that you choose fresh raw garlic, purchased still in the husk and you peal it directly before giving it to your animals (organic and grown in the USA). There are many types of garlic available on the market and many should be avoided. Chinese Garlic should be avoided as it has high levels of certain enzymes your dog should not ingest. Always consult a professional before starting any home treatments with herbs for yourself, your family or your pets. It is a common misconception that garlic will kill your animals. Deaths related to garlic and pets are almost completely non existent. But again please consult a professional as I mentioned in the article before treating your pet.